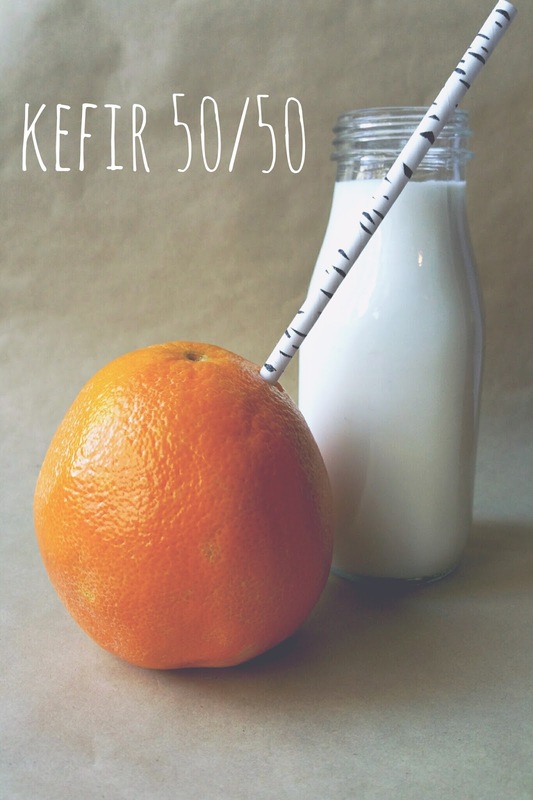 I really can't emphasize enough how good kefir is for you. It replenishes healthy gut flora and can contribute to better overall well-being. Not to mention it's easy to maintain your own kefir production at home and it tastes great. Read more about all that in my post here. Mike prefers it plain, with that slight tart taste that kefir naturally has. A friend of mine enjoys it mixed with a little almond milk and maple syrup, which makes it taste way better than the sugar laden store-bought kefir varieties. Lately I've been making a meal of my probiotic dose by blending it into a 50/50 Creamsicle inspired smoothie. Blend all ingredients together and enjoy drinking a tasty treat for your health.